Same old West Ham I hear you all saying, superb at home against Newcastle and then abysmal away to Cardiff. It’s going to take the manager a bit longer than 9 months to install the winners mentality and change the way West Ham have been for certainly as long as I can remember. We barely put up a fight against a team who might well be back in the Championship next year. But they managed to out run and out fight us for every ball last weekend. But roll on to this week and we take on a Huddersfield who I feel will definitely be playing in the lower tier next year. Bottom of the league and a whopping 16 points from safety and only 8 games to go, It’s not looking good for them. They have lost 5 of their last 6 games and probably can’t wait for the season to end. West Ham on the other hand still have something to play for. Best of the rest, losing to Cardiff certainly put a dent in them ambitions. I don’t think we will make it but I don’t expect us to stop trying. The Huddersfield manager Jan Siewert has complained about having some injuries , Kongolo might return for them but they are still missing Durm, Hogg, Depoitre, Diakhaby, Mbenza, Duhaney and Williams are all still missing. Itmakes a change when the oppositions injury list is longer than ours. I like it. The bad or the laughable news is that Andy Carroll has missed our last couple of game due to an injury which might keep him out for the rest of the season. He might not be back in Claret and Blue again which might just be best for all involved. Balbuena has returned to the squad but Reid, Sanchez, Yarmolenko and Wilshire all miss out. West Ham United : Fabianski, Zabaleta, Diop, Ogbonna, Cresswell, Rice, Noble, Antonio, Lanzini, Anderson and Arnautovic. 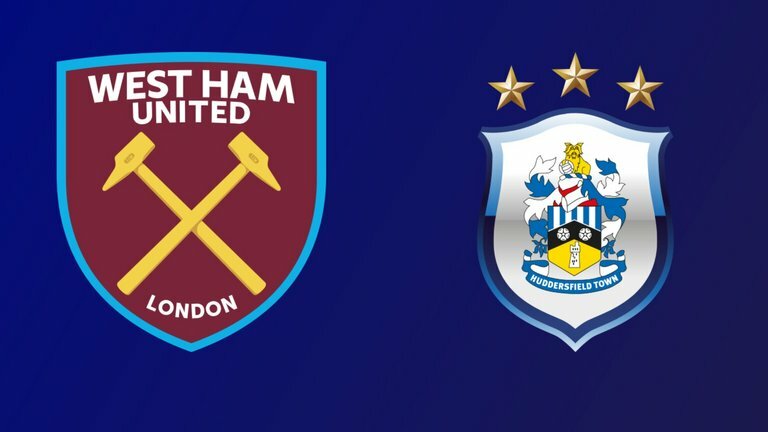 Huddersfield : Lossl, Schindler, Jorgenson, Bacuna, Durm, Stankovic, Billing, Mooy, Pritchard, Mounie and Kachunga . We have played well at home recently so I do not expect and slip ups with this one. I fully expect us to win again but in proper West Ham way It will probably be an own goal in the last minute. But I am glad to see the return of Arnautovic up front, If he wants to prove he is a top striker he has 8 games left in which to show it. Last year he and Lanzini ran riot up at their place and I expect a top performance.